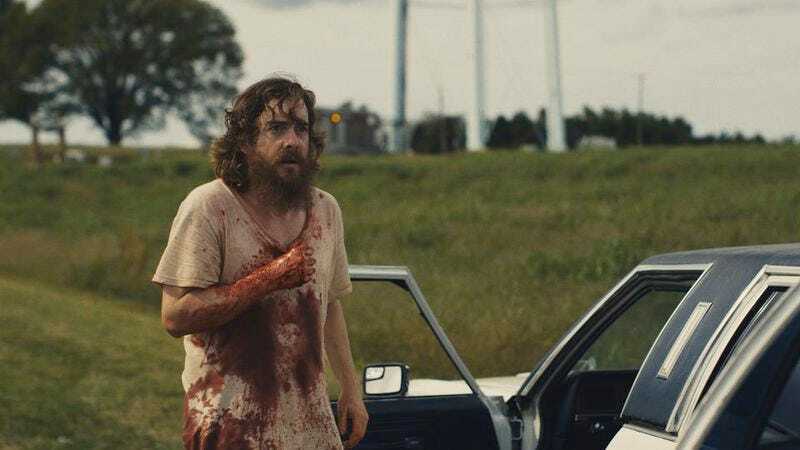 Jeremy Saulnier, director of the acclaimed indie revenge thriller Blue Ruin, is set to direct a movie with similar themes and probably even more dead bodies, only these will belong to wolves. Variety reports that Saulnier will adapt the novel Hold The Dark, “an intense tale of fate, family, and revenge set in the remote Alaskan wilderness.” The film follows an expert hunter who, after a child is taken by a pack of wolves, is tasked by local villagers with tracking and destroying a few poor fuzzballs that were just following their instincts. Saulnier is coming off the critical success of Green Room, his new film that played recently at the Toronto Film Festival. The film, which hits theaters in future months, stars Anton Yelchin and Patrick Stewart and involves a punk rock band secluded in a music venue after “a horrific act of violence.” The man certainly has a brand. But, judging from The A.V. Club’s praise of Green Room after it screened at Cannes, he also has talent. So, now you can steel yourself for two nerve-shredding Saulnier movies.